From the outside looking in, Kaia Lundgaard has the perfect life. Married to a handsome man of means, with a baby on the way, is the happily ever after that most women crave. But she finds herself confused and questioning the whirlwind romance that changed her world forever due to her husband jealous and obsessive nature. Having plotted and schemed to get the woman he most desires, Blaise Lundgaard has Kaia right where he wants her. When she begins to question their relationship, he’s determined to do whatever it takes to keep her. 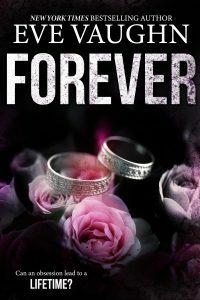 But when Kaia learns of his deception, how far will he go to maintain his…Forever?